Unknown12:00 PM 0 sweets for free! This is a global campaign donation via mobile load to fund programs for relief & rebuilding efforts. Mobile phone users from over 40 countries can now directly donate to HelpPh by sending airtime load to the the Philippine Disaster Recovery Foundation (PDRF) through BayadLoad, a mobile money service of Smart Communications, Inc. (Smart) approved by the Bangko Sentral ng Pilipinas (the Philippine Central Bank) for this purpose. It's "bayadload" international version. 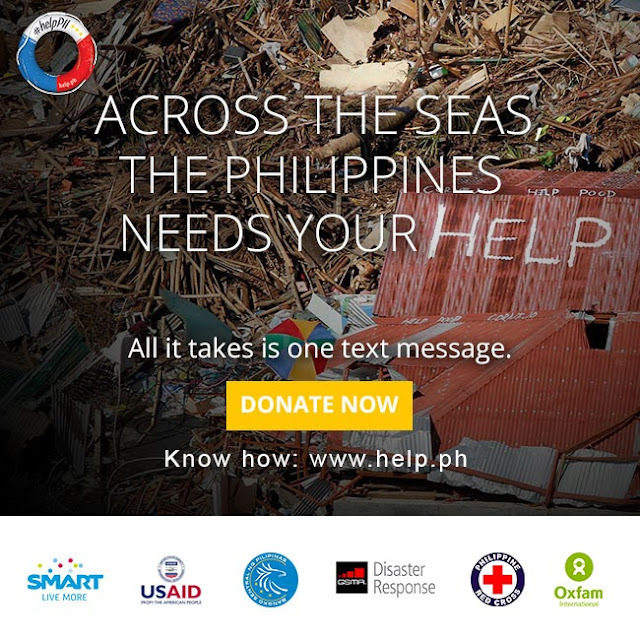 Help.ph just launched this Global donation campaign for relief, reconstruction, and rehab. 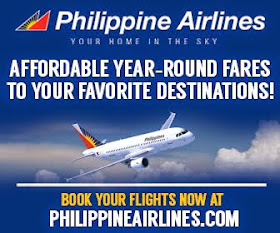 In response to the needs of communities devastated by Super Typhoon Haiyan/ Yolanda in the Philippines, the Philippine Disaster Recovery Foundation (PDRF) has launched HelpPH (help.ph), a global campaign for donations via mobile load to help fund programs for relief and reconstruction in partnership with international organizations, Philippine NGOs, government agencies and private companies. Mobile phone users from over 40 countries can now directly donate to HelpPh by sending airtime load to PDRF through BayadLoad, a mobile money service of Smart Communications, Inc. (Smart) approved by the Bangko Sentral ng Pilipinas (the Philippine Central Bank) for this purpose. The maximum amount per day is US$10. This fund-raising program will continue until December 31, 2013. “The unprecedented scale of the devastation inflicted by Typhoon Haiyan/Yolanda requires a global response. Through HelpPh, we are providing people all over the world the means to send help to those in greatest need through a few clicks on their mobile phones,” said PDRF chairman Manuel V. Pangilinan. The United Nations recently initiated a global effort to raise US$310 million for the Philippines in the aftermath of Typhoon Haiyan/Yolanda. One proven channel for international donations is through mobile phones. According to a CNN Money report, a donation via text campaign raised US$25 million four days after Japan was hit by a massive earthquake and tsunami in March 2011, while a donation drive for the victims in the 2010 Haiti earthquake generated over US$150 Million. Through its mobile money subsidiary, Smart has partnered with four leading global mobile airtime transfer companies that include Transfer To, Tranglo, www.ezetop.com, and Aryty, which together cover more than 250 partner mobile network operators in 90 countries, serving 5.9 billion mobile subscribers, 60 percent of whom, or about 3.6 billion, are prepaid users. These operators are in countries such as Australia, Bahrain, Belgium, Brunei, Canada, Denmark, Finland, France, Germany, United Kingdom,Greece, Hong Kong, India, Iran, Ireland, Israel, Italy, Japan, Jordan, Kuwait, Macau, Malaysia, Netherlands, New Zealand, Nicaragua, Norway, Oman, Qatar, South Korea, Saudi Arabia, Singapore, Spain, Sweden, Switzerland, Taiwan, Turkey, United Arab Emirates, and the Vatican City, among others.